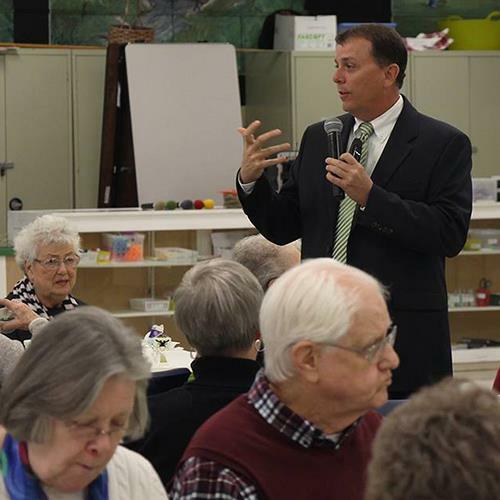 This fall, Superintendent Dr. Tony Lake visited more than 82 parent, teacher and community groups to gather feedback on his Listening and Learning Tour. Click on the headline to view the tour summary. 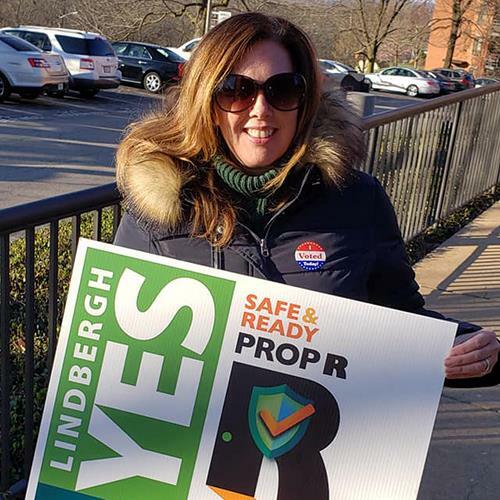 The Lindbergh Schools Board of Education voted unanimously to pass a resolution supporting Prop R, a no-tax-rate-increase bond issue on the April 2 ballot to improve safety and security for all Lindbergh students. 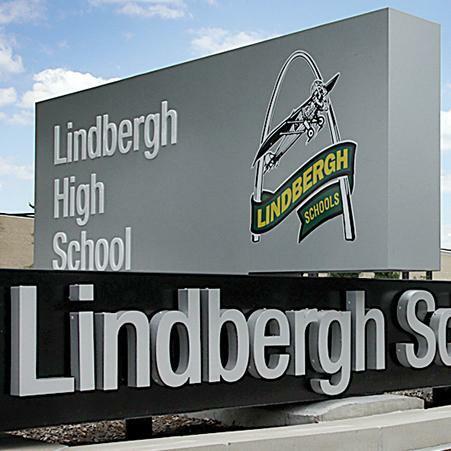 Lindbergh Schools invites the community to tour Lindbergh High School during one of two upcoming events, and learn more about the school district’s no-tax-rate-increase Prop R bond issue on the April 2 ballot. 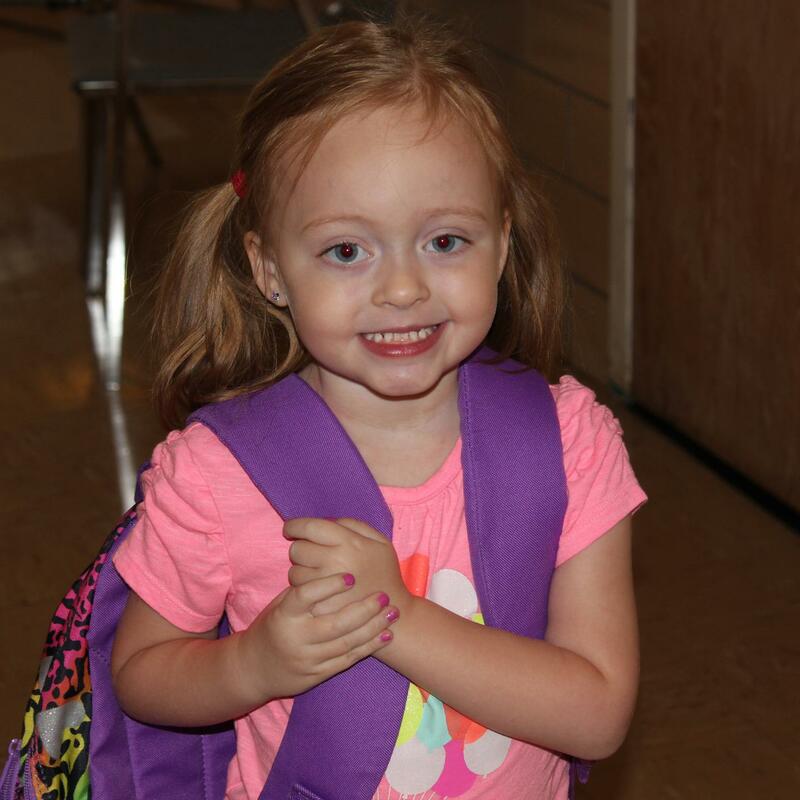 Lindbergh Schools kindergarten registration for the 2019-20 school year is now available online. 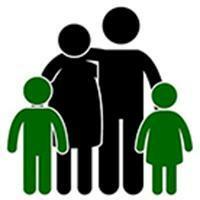 Families must provide proof of residency and required student documentation to complete the registration process. Lindbergh Leaders are nominated by their fellow community members for their leadership and service at Lindbergh Schools and in the community. The 2019 Lindbergh Leaders banquet is scheduled for Friday, March 8. 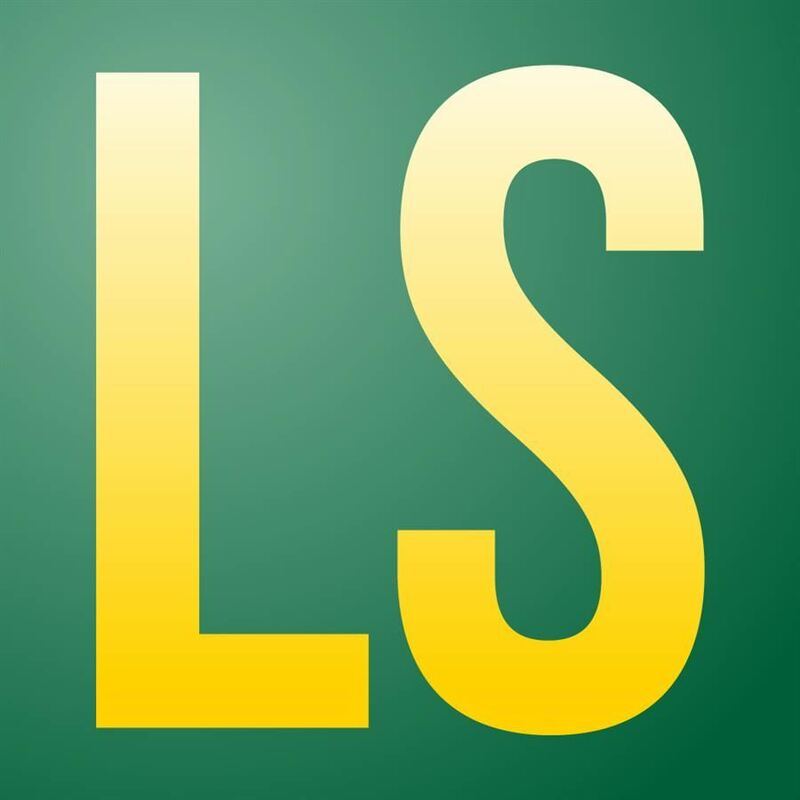 The Lindbergh Schools Board of Education voted on Jan. 15 to place a no-tax-rate-increase bond issue on the April 2 ballot to improve safety and security for all Lindbergh students. 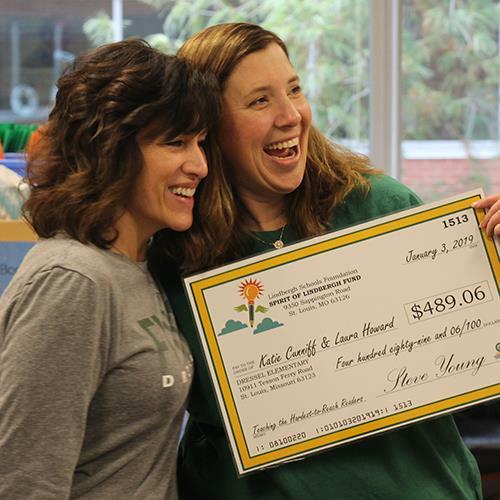 The Lindbergh Schools Foundation continued its annual support of original, inventive teaching ideas on Jan. 4, awarding several Lindbergh educators with 2018 Spirit of Lindbergh teacher grants. The Lindbergh Leader Award is the district’s highest honor, recognizing excellence in the areas of leadership and service to Lindbergh Schools and the community. Nominations are due Monday, Jan. 14. 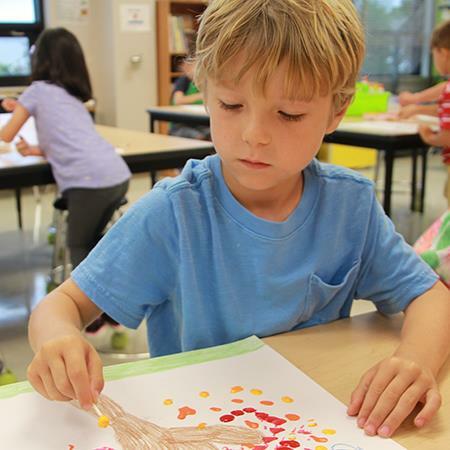 Lindbergh Schools is moving forward with a plan to offer free full-day kindergarten for all students beginning Jan. 7. The Board of Education and administration discussed the transition during a workshop on Dec. 11. 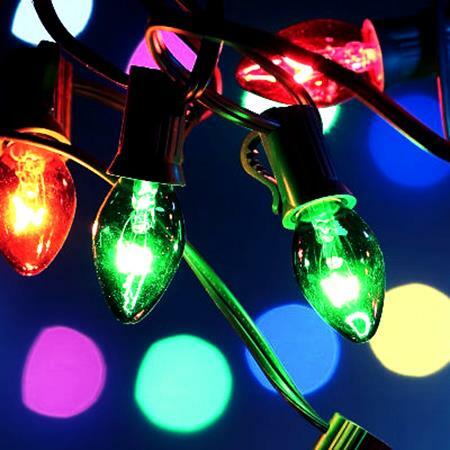 Lindbergh Lights the Way invites the community to make the holidays brighter for families in need this season, during the organization’s inaugural launch of the “Lindbergh Lights Up the Holidays” campaign. The decorating prowess of five creative South County homeowners will be on display during the Lindbergh High School Parent Group's 43rd annual Holiday House Tour, which will take place Sunday, Dec. 2. Lindbergh Schools has formed a committee to create a strategic plan that will define the district’s work for the next five years. The next committee meeting will be an open community forum on Monday, Oct. 29. 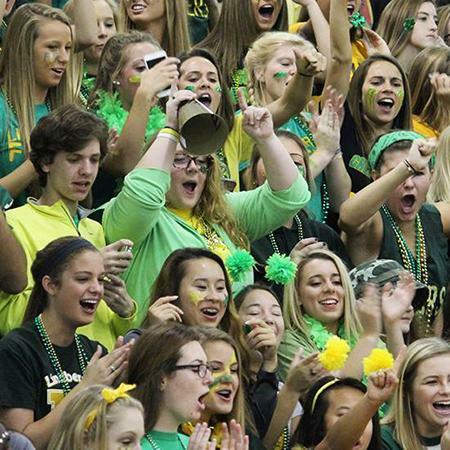 The Lindbergh Schools Board of Education voted during its October meeting to approve the 2019-20 academic calendar. The calendar has 175 school days, including six early release days and four half days. The fall edition of the Lindbergh Link newsletter hits mailboxes this week. Inside it, you’ll find a back-to-school message from Dr. Tony Lake, as well as safety improvements coming to Lindbergh High School. 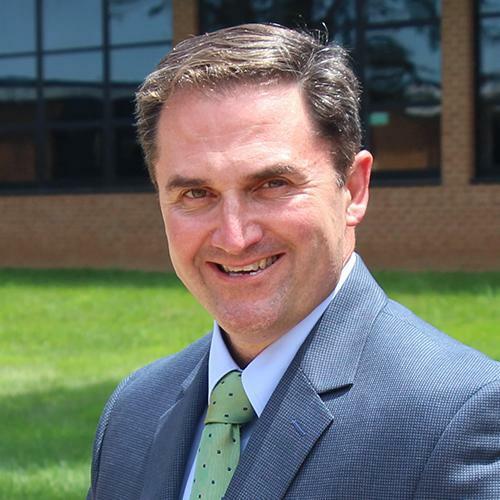 Lindbergh community members are invited to meet new Superintendent of Schools Dr. Tony Lake during a Listening and Learning presentation on Wednesday, Sept. 26 at 6:30 p.m. in the Lindbergh Schools auditorium. 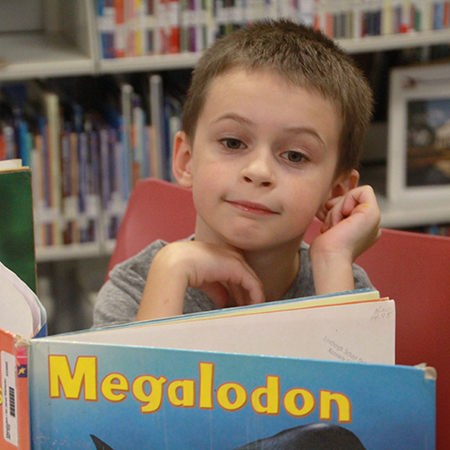 Lindbergh Schools ranks in the top 10 of all Missouri public school districts for academic excellence and quality of teachers, according to Niche’s 2019 rankings. The district scored an A overall rating. The 2018-19 school year is upon us. I look forward to the opportunities we can create together for a new and greater future for our students, and I wish you and your family a happy and successful school year. 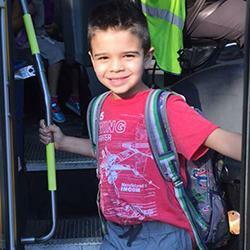 Preliminary bus routes are now available online. These routes will be fine-tuned during the first full week of school. Please allow 10-15 minutes of flexibility for pickup and drop-off times until the routes are finalized. 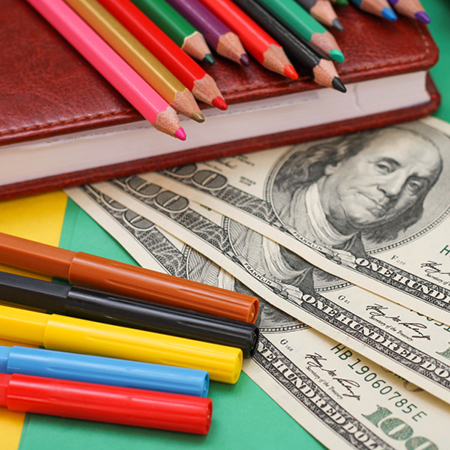 Missouri will lift its 4.225 percent sales tax on qualifying back-to-school purchases in stores and online from 12:01 a.m. Friday, Aug. 3 through midnight Sunday, Aug. 5. Click on the headline for details. 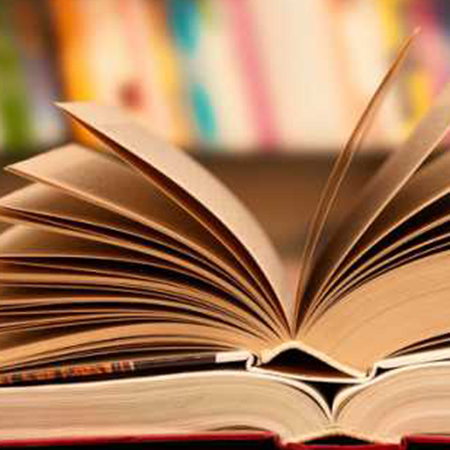 The Lindbergh Schools Board of Education is inviting school district patrons to serve on one of four new Board Advisory Committees, which will allow board members to seek input and advice on key issues. 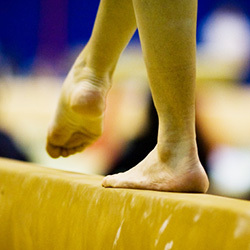 The Lindbergh Community Ed Gymnastics Team won a variety of medals, ribbons and plaques, including a first place finish by the Bronze Excel team, during the AAU Midwest Regional Gymnastics Championship. 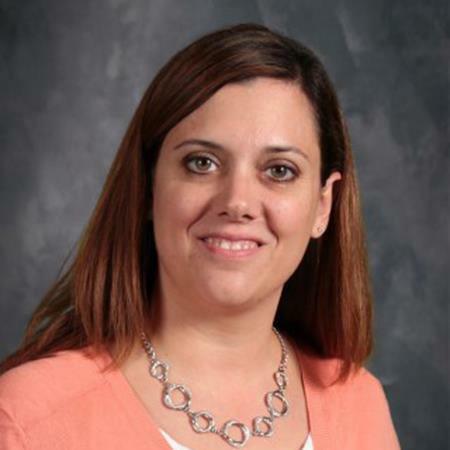 Dressel Elementary School fifth-grade teacher Sarah Valter’s article, “The Need for Narrative Nonfiction,” recently was published in the May/June 2018 issue of Literacy Today magazine. We challenge ourselves to do everything in our power to prevent a similar tragedy from taking place here in Lindbergh, because first and foremost, our schools must be safe, secure places for students to learn. Lindbergh Schools honored 10 individuals for exceptional service to the district and community during the annual Lindbergh Leaders banquet Saturday, April 14 in the new cafeteria addition at Lindbergh High School. 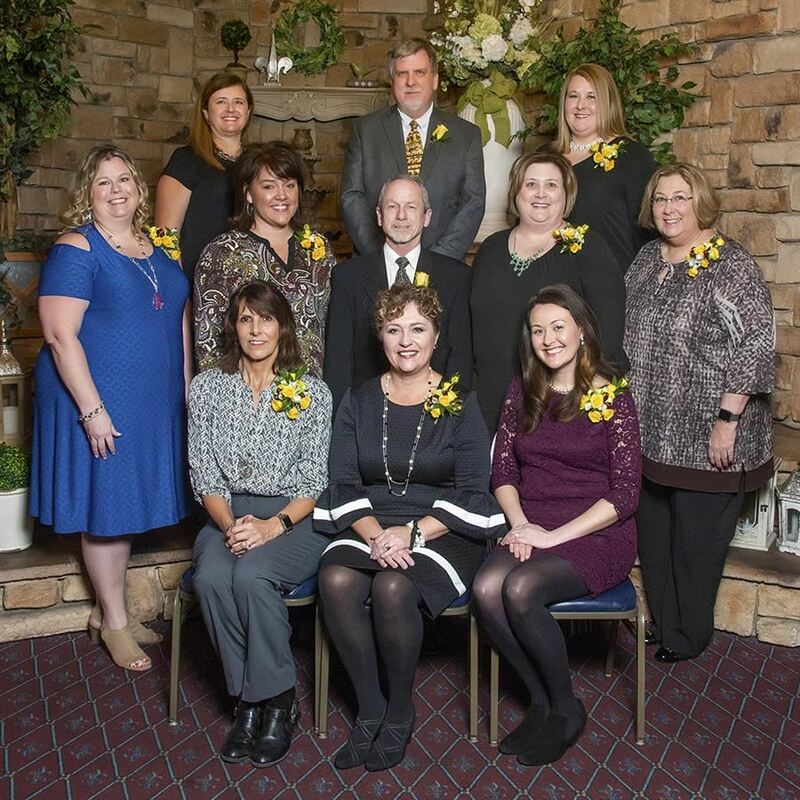 Lindbergh Schools recently recognized 23 teachers and support staff members for their dedication and service to students, parents and the community as part of the district’s employee recognition program. A handful of Lindbergh students and staff were recently recognized for their academic achievement and commitment to community service. 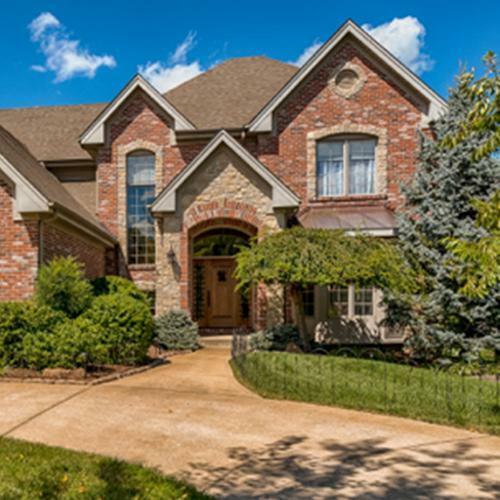 Click on the headline to learn more about these exceptional Flyers. 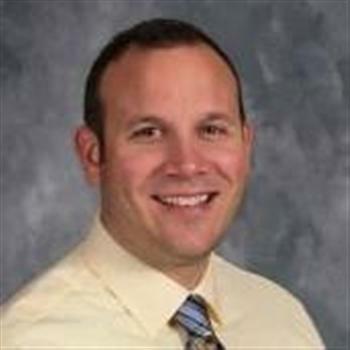 Dressel Elementary School assistant principal Dr. Patrick Schoenekase will move into the school’s head principal position for the 2018-19 school year. 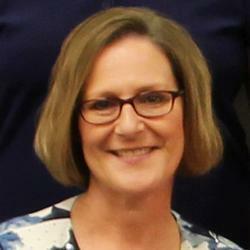 Schoenekase has been an administrator in Lindbergh since 2014. 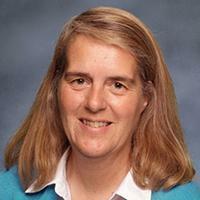 Voters re-elected Karen Schuster and Mike Shamia to the Lindbergh Schools Board of Education on Tuesday, April 3. Schuster and Shamia will be sworn in during the April 10 board meeting. 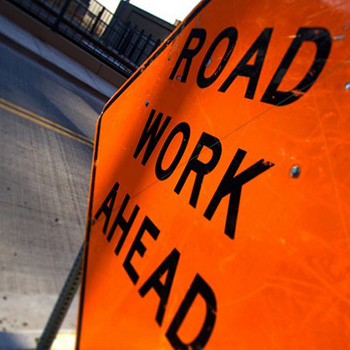 St. Louis County has informed us that Musick Avenue is scheduled to close on April 16, this time at the intersection of Gravois Road, by the Grant’s View Library. The road will remain closed until December 2018. 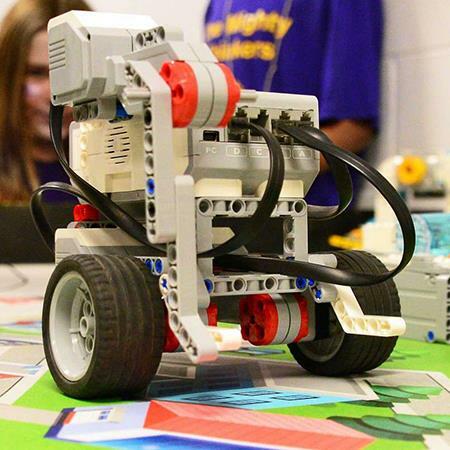 Students from all six Lindbergh elementary schools showcased their achievements in robotics on March 7, during the district’s first ever Jr. LEGO Robotics Team Expo at Crestwood Elementary School. 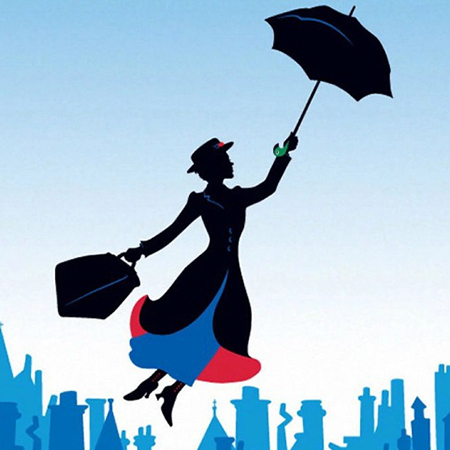 Lindbergh Schools’ annual All-District Musical, “Mary Poppins,” raised $4,009.21 in donations for The St. Jude Children’s Research Hospital this January. The cast and crew included more than 400 students. The spring edition of the Lindbergh Link newsletter hits mailboxes this week. Inside it, you’ll find information about the 2018 Board of Education candidates, as well as this year’s class of Lindbergh Leaders. The community is invited to attend a moderated candidate forum Thursday, March 15 at 7 p.m. in the Lindbergh Early Childhood Education multipurpose room. Click on the headline to meet the candidates. A handful of Lindbergh students were recently recognized for their academic achievement and commitment to community service. Click on the headline to learn more about these exceptional Flyers. Kindergarten registration for the 2018-19 school year will be available online Monday, Feb. 12. Parents must provide proof of residency and required student documentation to complete the registration process. 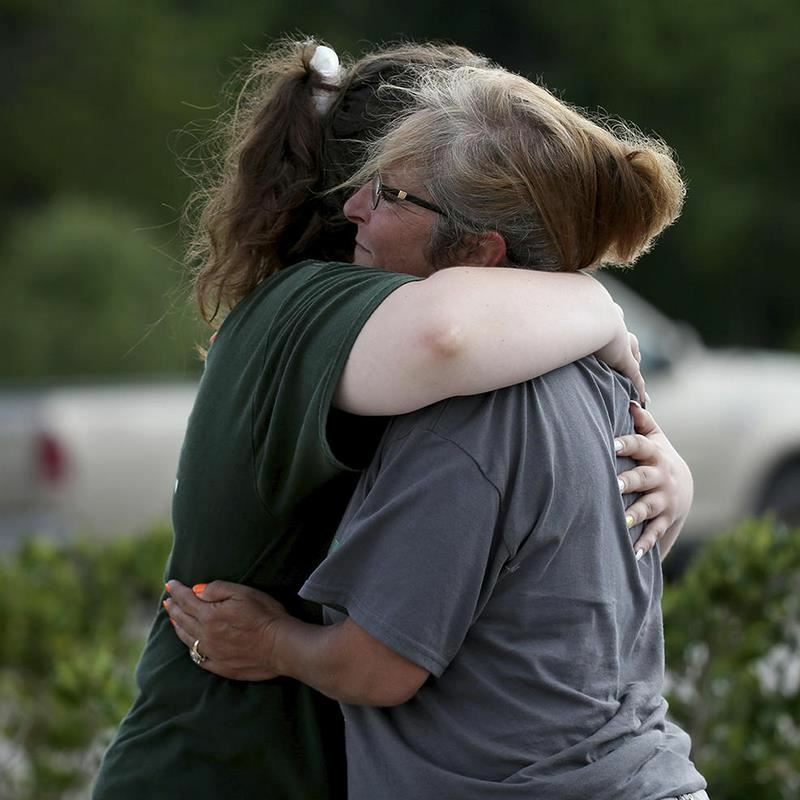 Every day, you put your trust in our teachers, administrators and support staff to keep your children safe, and we take this responsibility very seriously. School safety is a top priority for us that does not waver. 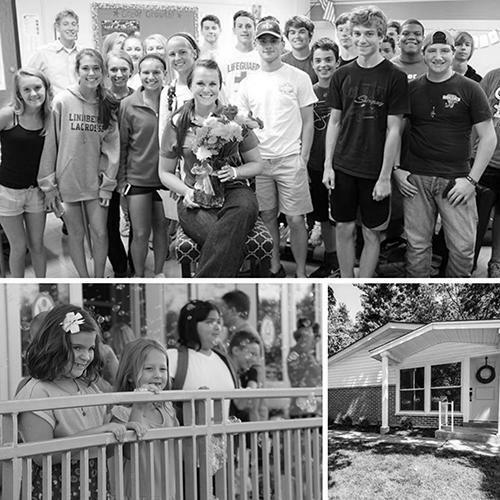 Lindbergh parents have a long tradition of giving back to local education through not only monetary donations, but also participation in district committee work, organization of events, and countless volunteer hours. 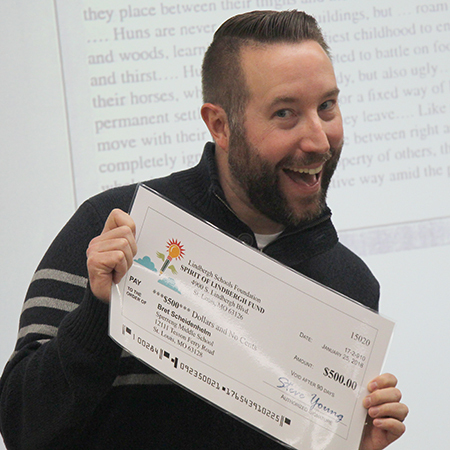 The Lindbergh Schools Foundation continued its annual support of original, inventive teaching ideas on Jan. 25, awarding several Lindbergh educators with 2017 Spirit of Lindbergh teacher grants. Lindbergh Leaders are nominated by their fellow community members for their leadership and service at Lindbergh Schools and in the community. 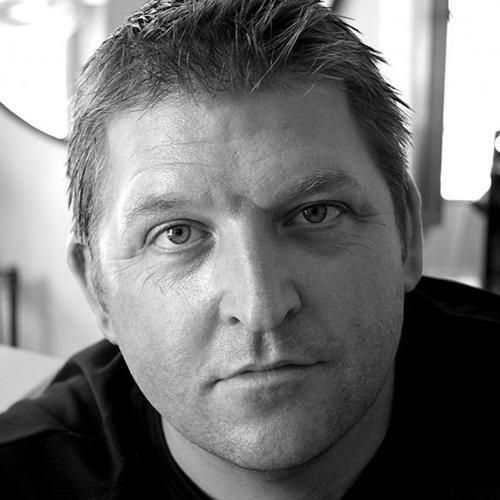 This year’s winners were selected from a pool of 47 nominees. Lindbergh Schools ranks among the best school districts in the United States, according to a recent study released by the National Council for Home Safety and Security. Click on the headline for details. 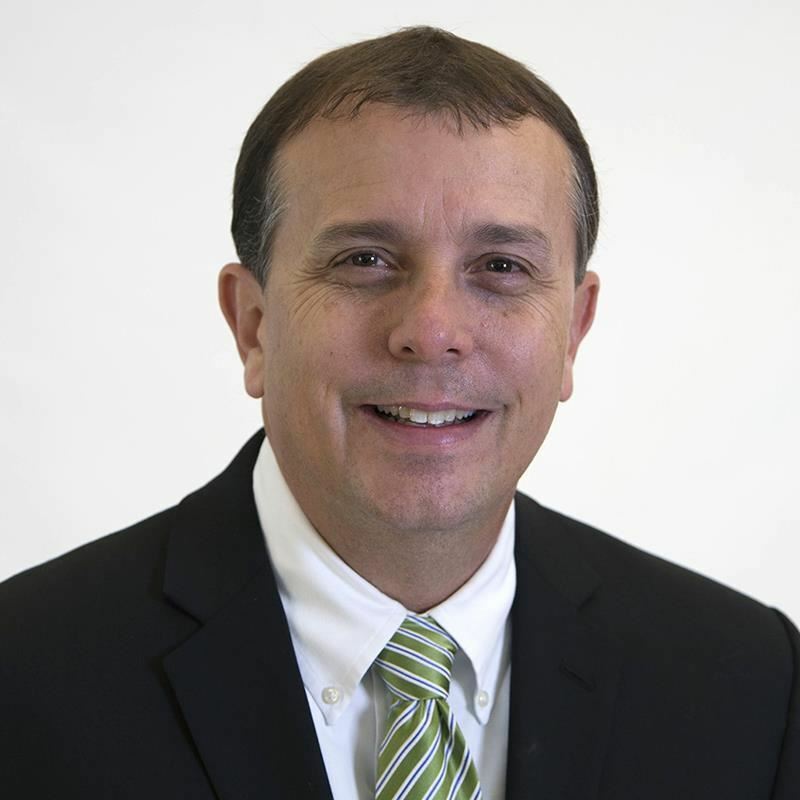 The Lindbergh Schools Board of Education voted 7-0 on Jan. 7 to hire Dr. Tony Lake as the district’s next superintendent of schools, effective July 1, 2018. 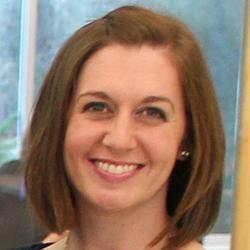 Click on the headline to learn more about Dr. Lake. 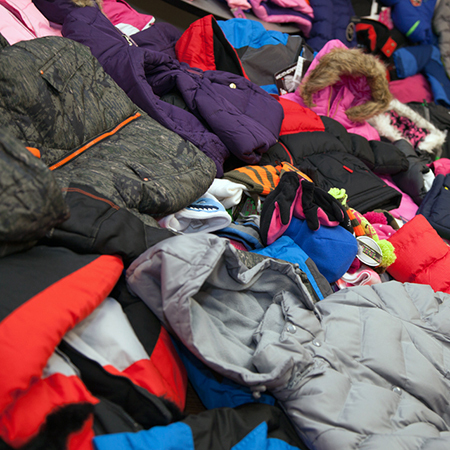 Lindbergh students, staff and families gave generously to keep kids in our city warm this season, donating 412 winter wear items during the Kiwanis Club of Crestwood-Sunset Hills’ Winter Wear Drive. 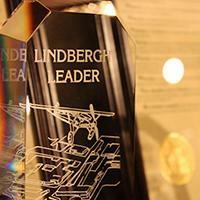 The Lindbergh Leader Award is the district’s highest honor, recognizing excellence in the areas of leadership and service to Lindbergh Schools and the community. Nominations are due Friday, Jan. 19. Lindbergh Schools is committed to providing challenging, effective and appropriate educational opportunities for every child. 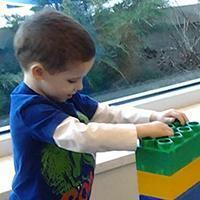 Our goal is to promote growth and increase achievement for children of all abilities. Lindbergh Schools honored more than 1,700 students in grades 4-8 for their outstanding academic achievement during three evenings of Academic All-Stars celebrations in November. The Board of Education has completed the first round of interviews in its search for Lindbergh’s next superintendent of schools. Interviews took place during two separate meetings on Dec. 3 and Dec. 5. The Board of Education met in closed session on Nov. 20 to review applications for the position of superintendent of schools, continuing progress in their search to fill the district’s top leadership position. The decorating prowess of five creative South County homeowners will be on display during the Lindbergh High School Parent Group's 42nd annual Holiday House Tour, which will take place Sunday, Dec. 3. The Lindbergh Schools Board of Education voted during its November meeting to approve the 2018-19 academic calendar. The calendar has 175 school days, including six early release days and four half days. Why do you work in public education? We asked our Lindbergh Key Communicators this question, and we are proud to share their responses during American Education Week, Nov. 13-17. 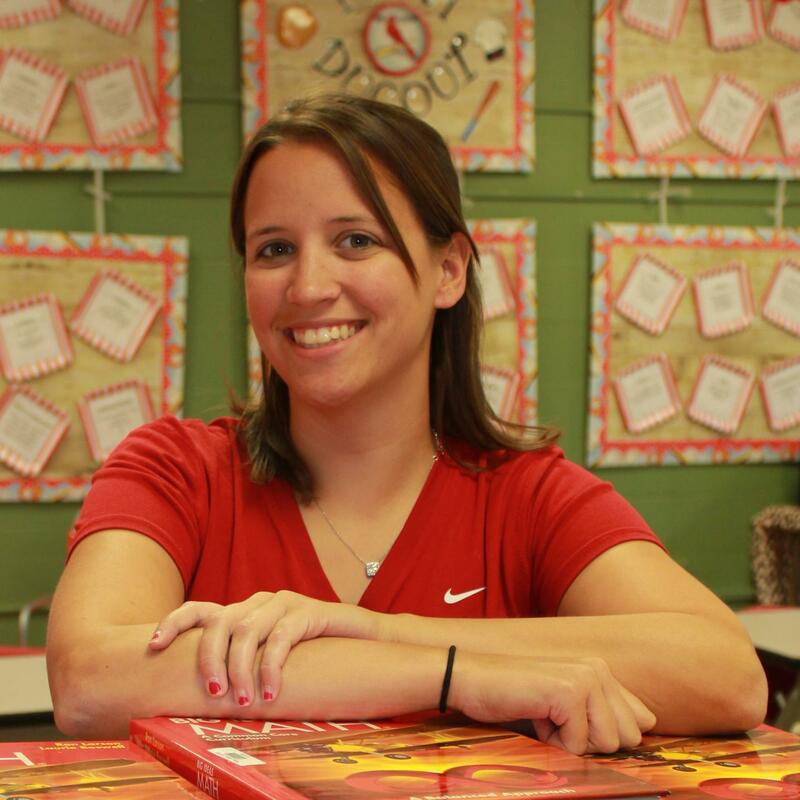 Dressel Elementary School teacher Sarah Valter recently published an article in the September/October issue of “Literacy Today” magazine. 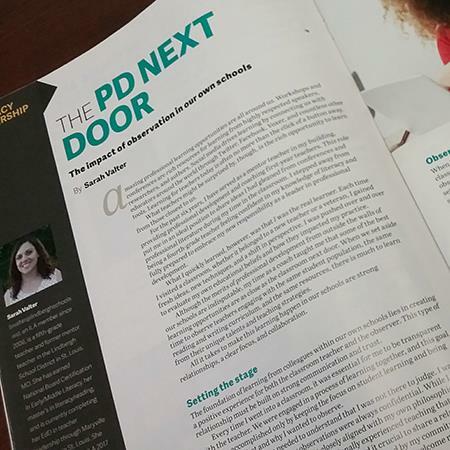 Her article focuses on how teachers can learn from their colleagues. 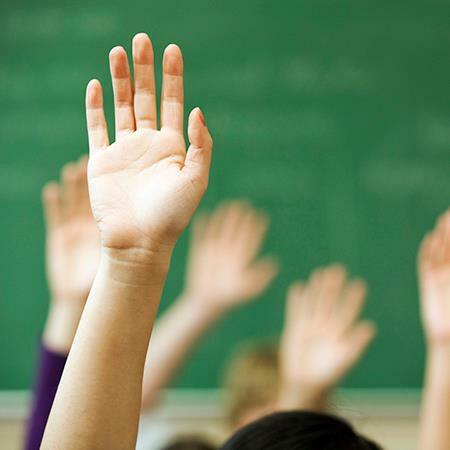 This fall, the Board of Education is conducting a search to hire the next superintendent. As one of the first steps in the process, the board would like to hear from you – parents, employees, and Lindbergh residents. Parent-teacher conferences provide an opportunity to discuss your student’s progress, share your student’s strengths and work with teachers to help your student succeed. Click on the headline for details. The number of students attending Lindbergh Schools in grades K-12 increased by 114 students in 2017-18, up to 6,850, according to official enrollment data presented to the Board of Education on Oct. 10. The Lindbergh Schools Board of Education highlights student artwork as part of its regular monthly meetings. 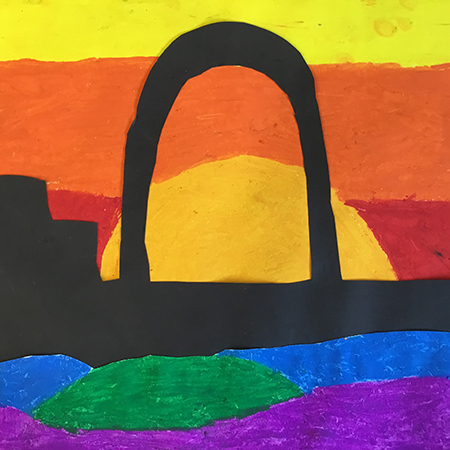 This month’s gallery features creations from students at Dressel Elementary School. St. Louis County has informed us that a major road closure will occur on Musick Avenue, beginning next Tuesday, Oct. 3. The county is expecting the road to be closed until early March 2018. The fall edition of the Lindbergh Link newsletter hits mailboxes this week. Inside it, you’ll find information about Lindbergh High School’s 64th graduating class, as well as photos from the first day of school. 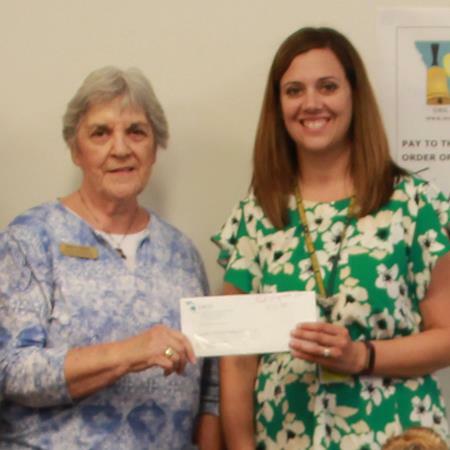 The Missouri Retired Teachers Foundation recently presented Dressel Elementary School fifth grade teacher Sarah Valter with a $500 grant to purchase 50 nonfiction books for her classroom library. 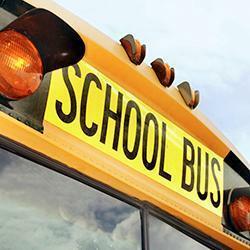 Updated bus routes have been posted online. Beginning Tuesday, Sept. 5, student pickup and drop-off times may be altered slightly. Bus route numbers for some students will change as well. Lindbergh Schools ranks in the top 10 of all Missouri public school districts for academic excellence and quality of teachers, according to Niche’s 2018 rankings. The district scored an A+ overall rating. Dressel is Lindbergh’s sixth elementary school. The state-of-the-art, 99,116-square-foot building provides essential overcrowding relief districtwide, as Lindbergh’s enrollment continues to grow significantly. 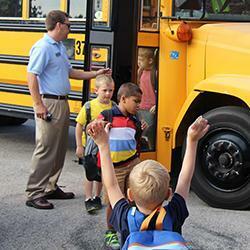 Bus routes are now available online. The routes will be fine-tuned during the first full week of school. Please allow 10-15 minutes of flexibility for pickup and drop-off times until the routes are finalized. 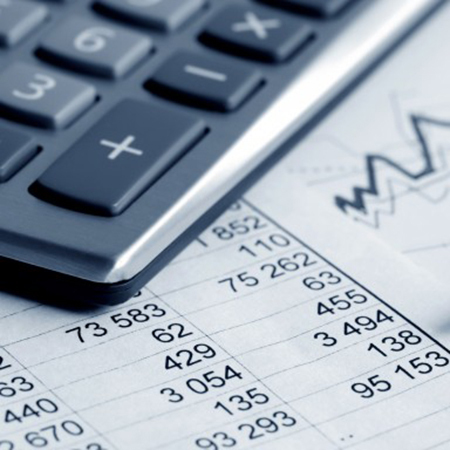 The Lindbergh Schools Board of Education approved a $71.9 million balanced operating budget with a projected surplus of $23,719. This budget includes six additional full time equivalent teaching positions. 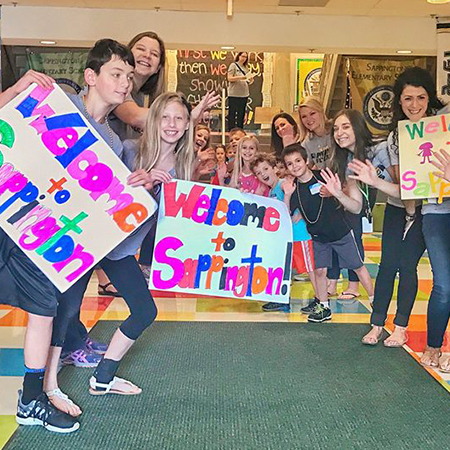 About 1,000 Lindbegh students in grades K-8 received warm welcomes on May 16 when they visited their new schools for tours, activities and a chance to meet their new classmates. Click on the headline for details. 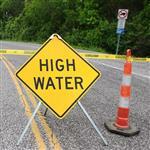 Lindbergh Schools will not have to make up days missed due to flooding on May 3-5. The 2016-17 calendar will remain unchanged, and the last day of school for students and teachers will be Friday, May 26. Lindbergh is projecting another year of rapid growth, with 182 additional students expected to enroll for the 2017-18 school year. 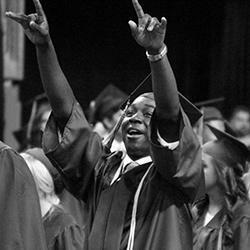 Over the next four years, K-12 enrollment is expected to increase by 901 students. Lindbergh Schools recently recognized 21 teachers and support staff members for their dedication and service to students, parents and the community as part of the district’s employee recognition program. 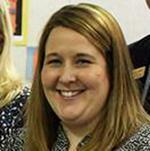 Voters elected four new Lindbergh Schools Board of Education members on Tuesday, April 4. 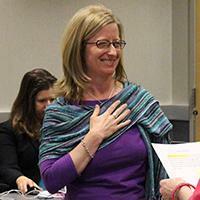 Cathy Lorenz, Christy Watz, Matt Alonzo and Mike Shamia will be sworn in during the April 11 board meeting. 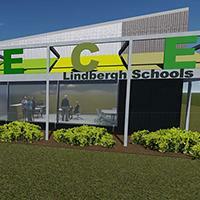 The Lindbergh Schools Board of Education voted 7-0 on Tuesday, March 14, to approve new elementary school and middle school boundaries for the 2017-18 school year. 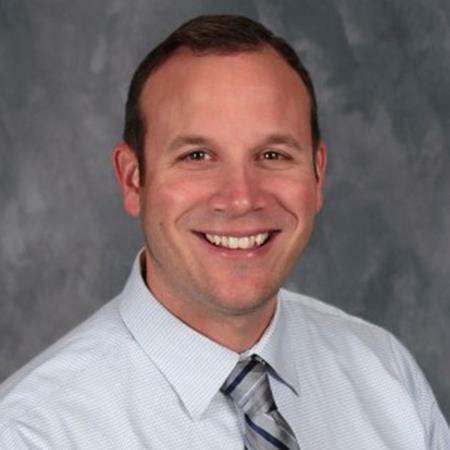 Long Elementary School Assistant Principal Patrick Schoenekase will move to Dressel Elementary School at the end of this school year, helping Dr. Craig Hamby lead Lindbergh’s newest elementary school. Lindbergh Schools honored 10 individuals for exceptional service to the district and community, during the annual Lindbergh Leaders banquet Friday, March 10 in the new cafeteria addition at Lindbergh High School. The community is invited to attend a moderated Board of Education candidate forum Thursday, March 16 at 7 p.m. in the Lindbergh Early Childhood Education multipurpose room. The Board of Education will vote March 14 on proposed elementary and middle school boundary changes that would address overcrowding and protect a quality education experience for all Lindbergh students. The spring edition of the Lindbergh Link newsletter hits mailboxes this week. Inside it, you’ll find information about the 2017 Board of Education candidates, as well as this year’s class of Lindbergh Leaders. Earlier this week, the Lindbergh Boundary Committee met for a third time to fine-tune elementary school boundaries and discuss middle school boundaries. The committee continued work on Option 3. The Lindbergh Schools Boundary Committee met for the second time on Wednesday, Feb. 8, to narrow down map options and begin more detailed work establishing attendance zones for six elementary schools. This year’s winners were chosen from a pool of 43 nominees. Lindbergh Leaders are nominated by their fellow community members for their leadership and service at Lindbergh Schools and in the community. More than 20 Lindbergh community members met on Jan. 25 to begin work on the elementary and middle school Boundary Committee. The committee will meet 3-4 times over the next few months. Kindergarten registration for the 2017-18 school year will be available online Monday, Feb. 27. 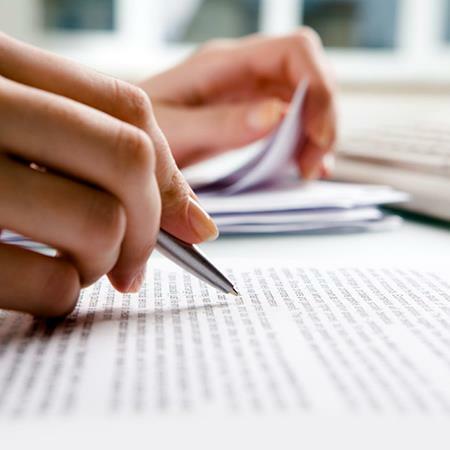 Parents must provide proof of residency and required student documentation to complete the registration process. A committee of Lindbergh parents, community members and district administrators will begin meeting this month to redraw all elementary school and middle school boundary lines for the 2017-18 school year. The Lindbergh Leader Award is the district’s highest honor, recognizing excellence in the areas of leadership and service to Lindbergh Schools and the community. Nominations are due Friday, Jan. 20. 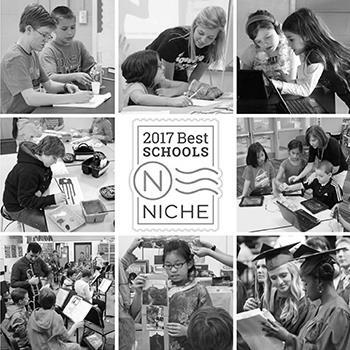 Lindbergh Schools ranks in the top 10 of all Missouri public school districts for academic excellence and quality of teachers, according to Niche’s 2017 rankings. The district scored an A+ overall rating. 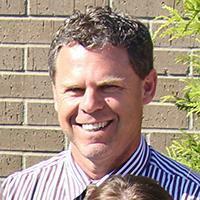 Dr. Craig Hamby will be the principal of Dressel Elementary School when it opens in fall 2017. 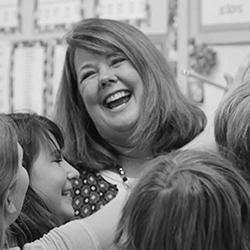 Dr. Hamby has been a teacher, instructional leader and administrator in Lindbergh for 16 years. The decorating prowess of five creative South County homeowners will be on display during the Lindbergh High School Parent Group's 41st annual Holiday House Tour, which will take place Sunday, Dec. 4. The Lindbergh Schools Board of Education voted during its November meeting to approve the 2017-18 academic calendar. The calendar has 175 school days, including six early release days and four half days. The fall edition of the Lindbergh Link newsletter hits mailboxes this week. Inside it, you’ll find detailed information regarding the 2016-17 residential tax rate and budget, as well as current enrollment data. In 2016-17, elementary school enrollment increased by 139 students, middle school increased by 27 students, and Lindbergh High School increased by seven students for an official total of 6,736. 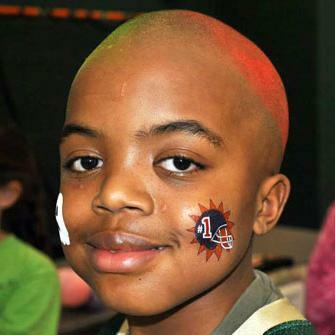 Sunday Night Lights captures the essence of high school football and offers that experience to a very special group of athletes: kids battling cancer and other life-threatening illnesses. The Missouri Department of Elementary and Secondary Education recently recognized Lindbergh Schools and First Student for their exemplary school bus maintenance program. 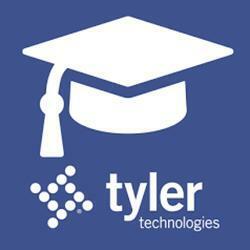 In addition to accessing the SIS Portal online, parents can update information using the Tyler SIS Student 360 mobile app. 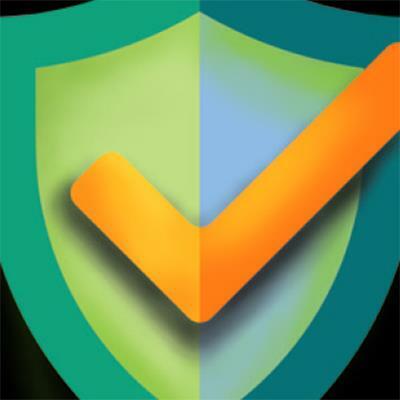 This free app provides convenient, secure access to your student’s information. Lindbergh is busy preparing for a successful start to the 2016-17 school year, and we remain committed to providing the highest quality educational experience to every child who walks through our doors. Missouri will lift its 4.225 percent sales tax on qualifying back-to-school purchases in stores and online from 12:01 a.m. Friday, Aug. 5 through midnight Sunday, Aug. 7. Click on the headline for details. The summer edition of the Lindbergh Link newsletter hits mailboxes this week. Inside it, you’ll find information about the Class of 2016, district enrollment growth and the 2016-17 budget. The Lindbergh Schools 2016-17 academic calendar has been revised to reflect an early release day change. The early release day originally scheduled for April 19, 2017 has been moved to April 5, 2017. Lindbergh extends its thanks and well wishes to this year’s class of 22 retiring faculty and staff members. 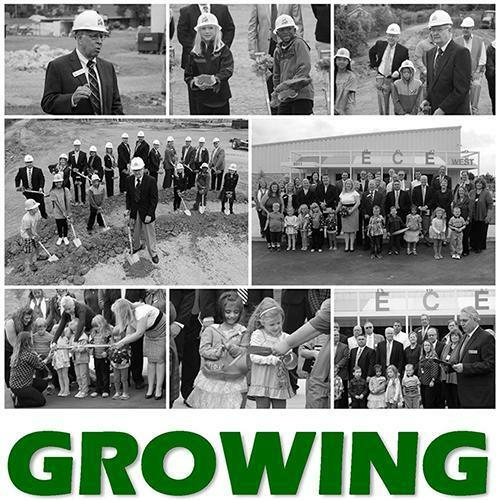 Their dedication to Lindbergh and commitment to the success of our community is much appreciated. Lindbergh Schools was honored by the Crestwood-Sunset Hills Area Chamber of Commerce for drawing a record number of young families to the area and completing several facility improvement projects. 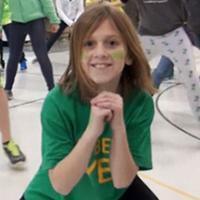 Thanks to physical education teachers Darrion Cockrell and Megan Skokovic, a new fitness phenomenon is making a positive impact on the lives of students and staff at Crestwood Elementary School. The spring edition of the Lindbergh Link newsletter hits mailboxes this week. Inside it, you’ll find information about the 2016 Board of Education candidates, as well as this year’s class of Lindbergh Leaders. This year’s winners were chosen from a pool of 35 outstanding nominees. Lindbergh Leaders are selected for their leadership and service at Lindbergh Schools and in the community. 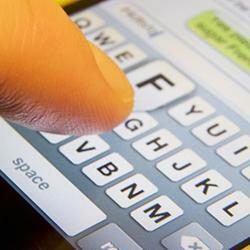 This Thursday, Jan. 14, Lindbergh Schools will send an invitation text message that will allow parents to sign up for important text notifications from their child’s school and the district. Click the headline for details. 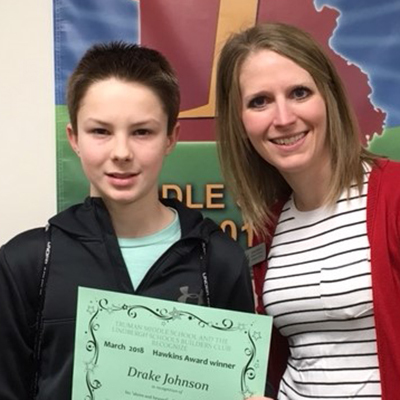 The Lindbergh Leader Award is the district’s highest honor, recognizing excellence in the areas of leadership and service to Lindbergh Schools and the Lindbergh community. Nominations are due Friday, Jan. 15. 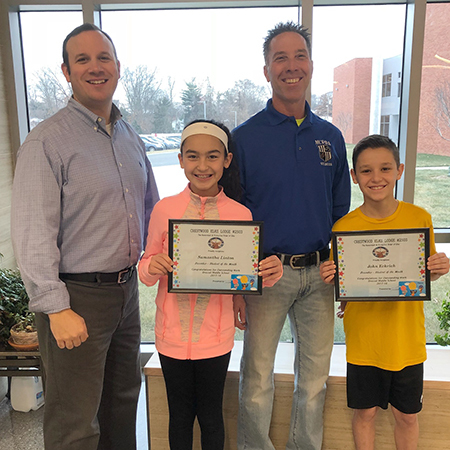 The Crestwood-Sunset Hills Rotary Club is making winter a little warmer for 104 Lindbergh students, through the club’s annual Operation Warm program. It is one of several programs the Rotary sponsors each year. 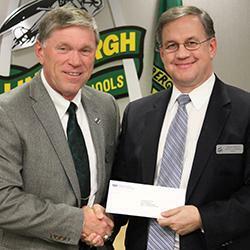 The Lindbergh Schools Board of Education celebrated savings for taxpayers, recognized student and staff achievements and honored the hard work of parent volunteers during its Dec. 8 regular meeting. 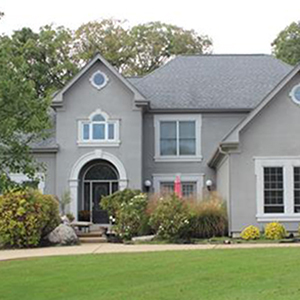 The decorating prowess of five creative South County homeowners will be on display during the Lindbergh High School Parent Group's 40th annual Holiday House Tour, which will take place on Sunday, Dec. 6. The Lindbergh Schools Board of Education voted during its November meeting to approve the 2016-17 academic calendar. The calendar has 175 school days, including six early release days and four half days. 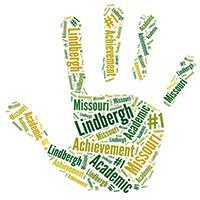 Lindbergh earned a 99.3 percent on the MSIP 5 Annual Performance Report. This is Lindbergh’s 15th consecutive Accredited with Distinction honor, which requires a 90 percent APR score in order to achieve. The fall edition of the Lindbergh Link newsletter hits mailboxes this week. Inside it, you’ll find information about two major projects that will provide essential relief to overcrowding districtwide. 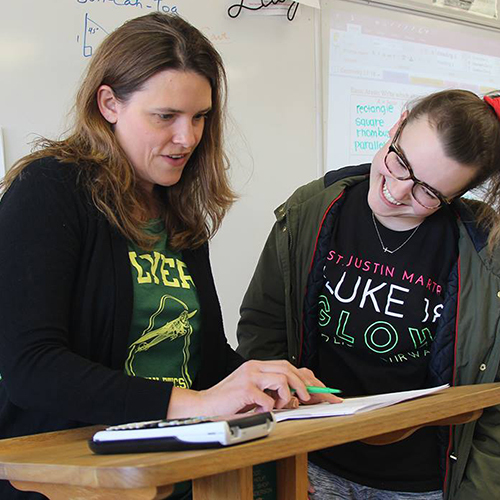 Student enrollment growth in Lindbergh Schools continues to fill classrooms and outpace projections, with more than 200 new students enrolling this year. Total district enrollment for 2015-16 is 6,563. 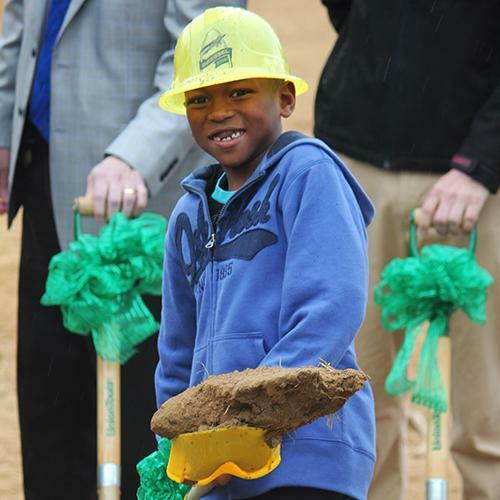 As Lindbergh continues to address rapid student enrollment growth, administrators, students, board members and dignitaries celebrated two major projects that will help relieve overcrowding districtwide. The Lindbergh High School Parent Group invites local crafters and vendors to participate in the 40th annual Holiday House Tour Shopping Boutique. 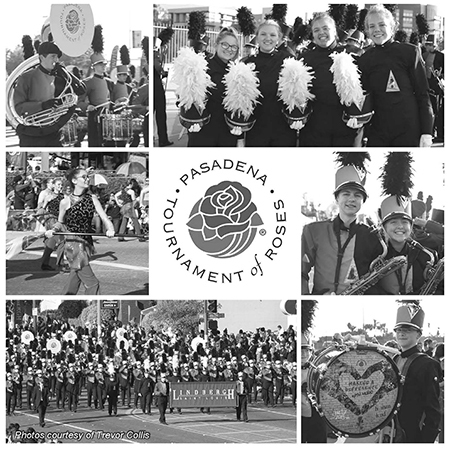 This year’s event is scheduled for Sunday, Dec. 6. According to the Post-Dispatch, Lindbergh Schools has the highest attendance rate of all the public school districts in St. Louis County. 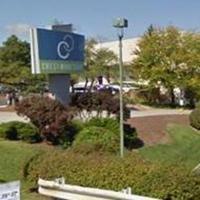 Concord also ranked in the top 10 for individual building attendance. Moody’s Investors Service reaffirmed Lindbergh's Aa1 rating on $10 million in general obligation bonds from 2009, just days after the district’s Board of Education voted 7-0 to refinance the bonds. 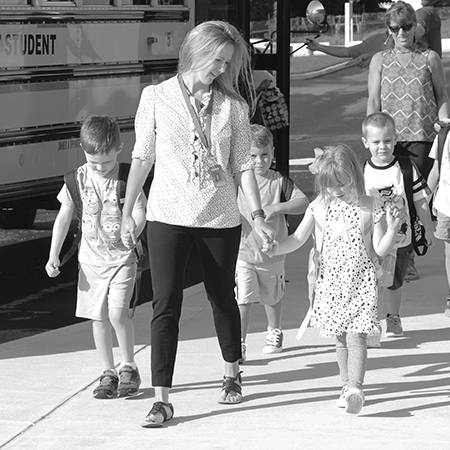 Lindbergh is busy preparing for a successful start to the 2015-16 school year, and we remain committed to providing the highest quality educational experience to every child who walks through our doors. Preliminary bus routes are now available online. The routes will be fine-tuned during the first full week of school. Please allow 10-15 minutes of flexibility for pickup and drop-off times until the routes are finalized. 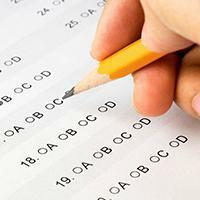 The Missouri Department of Elementary and Secondary Education has released Missouri Assessment Program scores for the 2014-15 school year. 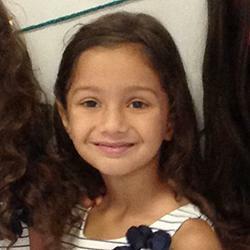 Lindbergh student reports will be mailed Friday, Aug. 14. 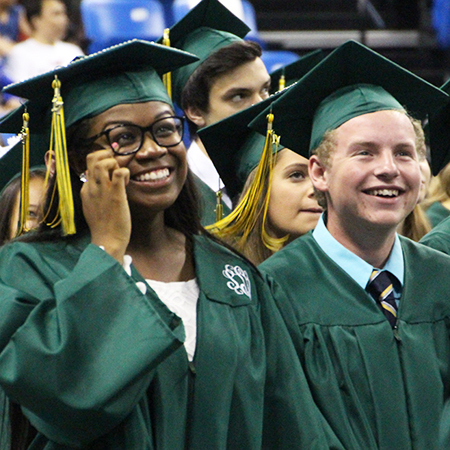 Lindbergh is honored to provide high-quality education for all students. As we continue to address rapid enrollment growth, residents have likely noticed quite a bit of construction going on around the district. 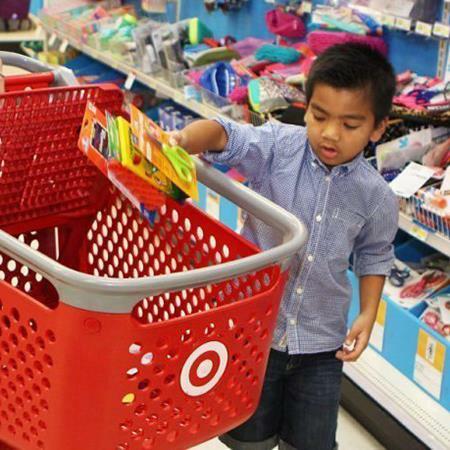 Missouri will lift its 4.225 percent sales tax on qualifying back-to-school purchases in stores and online from 12:01 a.m. Friday, Aug. 7 through midnight Sunday, Aug. 9. Click on the headline for details. 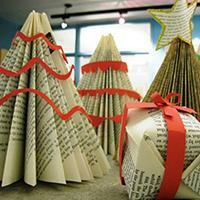 Do you decorate for the holidays, or do you know someone who does? 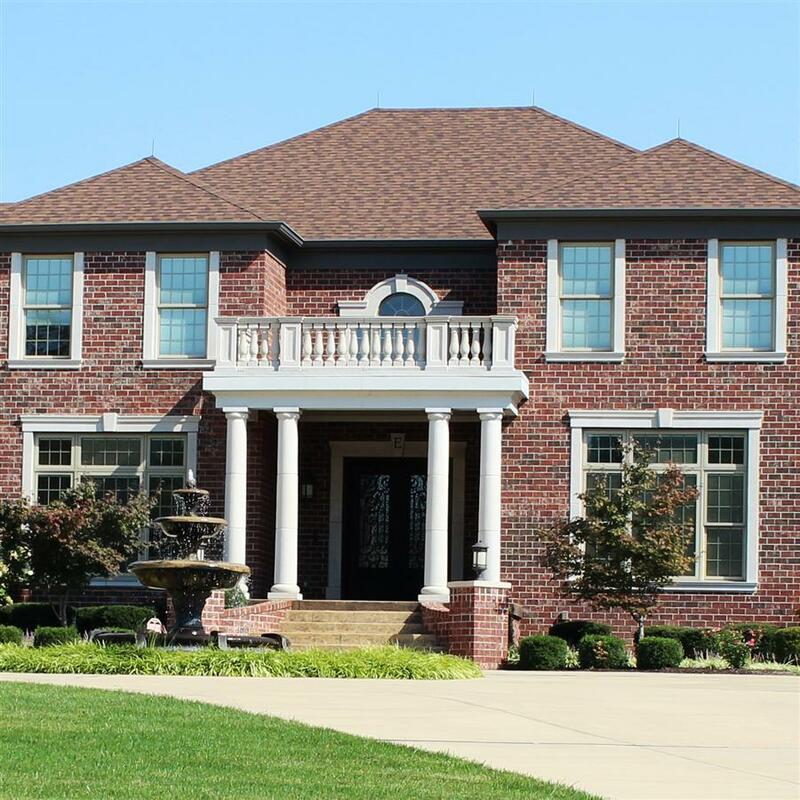 The Lindbergh High School Parent Group is in search of five homes to be a part of its 2015 Holiday House Tour on Sunday, Dec. 6. Kit Norton has been named the new director of the District Activities Office, which houses the community youth sports program, as well as art, music and activities classes, including Summer Enrichment. Thank you to all the Lindbergh parents and community members who attended the July 8 Crestwood Mall redevelopment open house. Organizers report that about 700 residents attended. 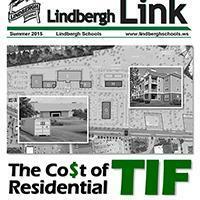 The summer edition of the Lindbergh Link newsletter hits mailboxes this week. Inside it, you’ll find information about the Class of 2015, as well as construction updates from LHS and ECE West. 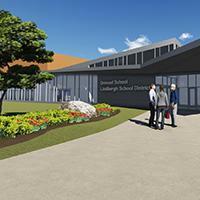 The Lindbergh Schools Board of Education took an important step toward addressing aggressive student enrollment growth on June 29, voting to approve the general contractor for Dressel Elementary School. 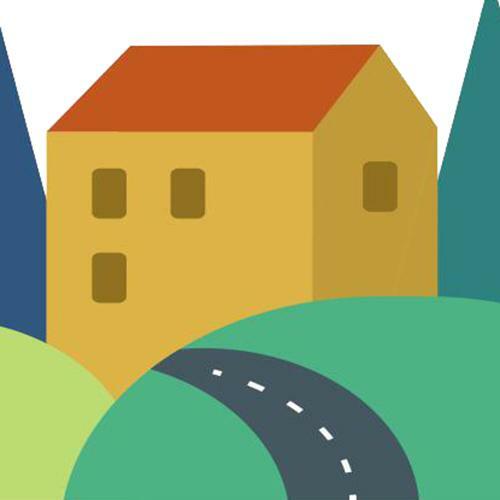 UrbanStreet Group of Chicago will host an open house to receive public input about the Crestwood Mall redevelopment proposal from 4-7 p.m., Wednesday, July 8 at the Crestwood Community Center. The City of Crestwood Board of Aldermen voted 5-3 against a bill on June 9 that would have authorized Peckham Guyton Albers and Viets, Inc. to prepare a comprehensive city plan. Lindbergh extends its thanks and well wishes to this year’s class of 28 retiring faculty and staff members. These employees have served the district for a combined total of more than 500 years. The City of Crestwood Board of Aldermen voted 7-0 on Tuesday, May 12 to approve the first step required to form a TIF commission to study the mall redevelopment proposal. The community is invited to celebrate "Jungle Spirit" at the 24th annual Lindbergh Spirit Festival Saturday, May 16. 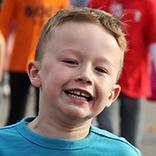 This communitywide event features games, rides, food, a parade and entertainment for all ages. The Lindbergh Schools Foundation spring mini-auction opens Tuesday, May 5 at 8 a.m., and closes Wednesday, May 6 at 8 p.m. All proceeds benefit Lindbergh Schools Foundation teacher grants and scholarships. The Sperreng Middle School Environmental Club invites the community to dispose of “anything that runs on batteries or plugs into a wall” at its sixth annual Electronics Recycling Drive Saturday, May 2. 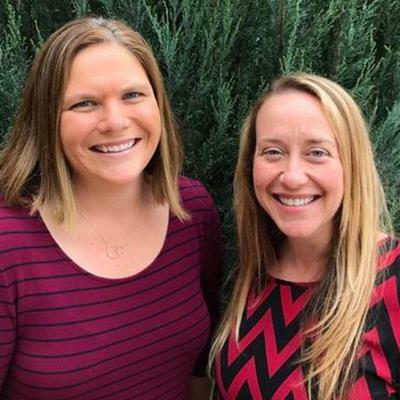 Lindbergh Schools voters re-elected incumbent Board of Education members Karen Schuster and Kate Holloway on April 7. Click on the headline to view the official election results. 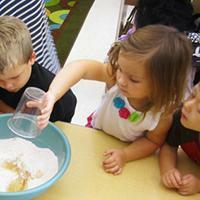 At Lindbergh Early Childhood education, the district’s youngest students have been busy studying a variety of interests. 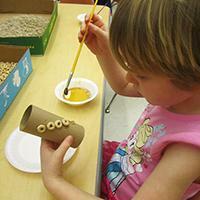 Click on the headline to read ECE’s most recent adventures. 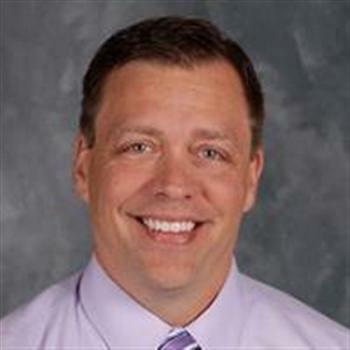 Lindbergh Schools veteran gifted educator Michael Kuhn will be the district’s next director of gifted programs, effective July 1. 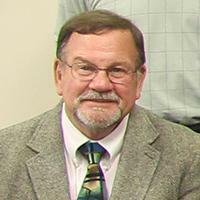 The Board of Education approved his hiring on April 14. 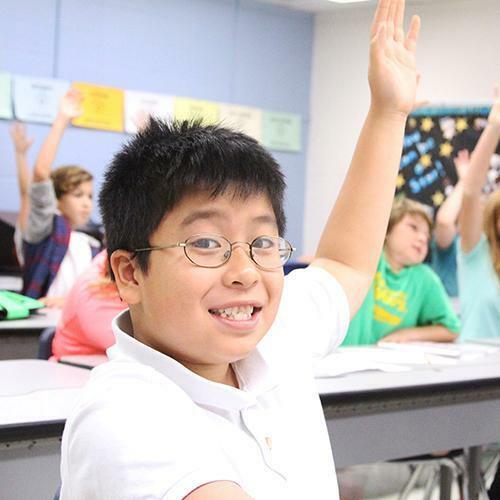 Lindbergh’s Missouri Assessment Program testing window is April 13-May 8 for students in grades 3-8, and Lindbergh High School students will take their end-of-course assessments later this month. 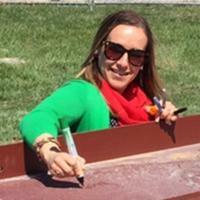 Lindbergh Early Childhood Education staff members gathered recently on the construction site for ECE West to sign a steel beam that will be used in the building’s construction. 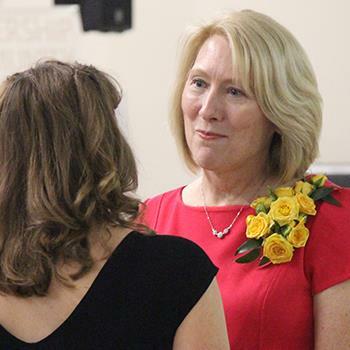 The Affton Chamber of Commerce honored Lindbergh Early Childhood Education teacher Barb Mikusch with the Affton Exceptional Educator Award during the chamber’s 2015 Annual Awards Dinner. In celebration of Lindbergh’s fifth consecutive No. 1 ranking for academic achievement, we invite the Lindbergh community to participate in our “Find a Five” contest during Spring Break. Lindbergh principals devote endless time, thought, caring and dedication to make our schools the best they can be, as well as meeting the needs of students, staff, parents and the community. Four candidates are running to fill two three-year seats on the Lindbergh Schools Board of Education. 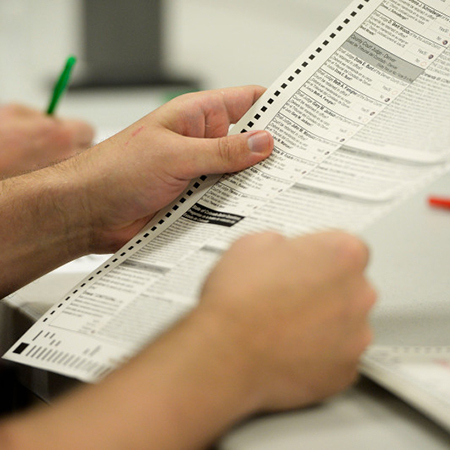 The election will be held Tuesday, April 7. Click the headline to meet the candidates. The spring edition of the Lindbergh Link newsletter hits mailboxes this week. Inside it, you’ll find information about the 2015 Board of Education candidates, as well as this year’s class of Lindbergh Leaders. Students at Lindbergh Early Childhood Education recently trained their bodies and minds during a schoolwide Exercise Day. The day was filled with activities to teach students the importance of exercise. Congratulations to the schoolwide winners of Lindbergh’s elementary and middle school spelling bees! 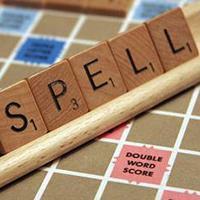 Quiz a friend or family member using the winning words and see how you do. This year’s winners were chosen from a pool of 38 outstanding nominees. Lindbergh Leaders are selected for their leadership and service at Lindbergh Schools and in the community. 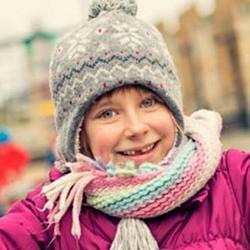 As we prepare for extremely cold temperatures, please remember to bundle up before heading to school or work. 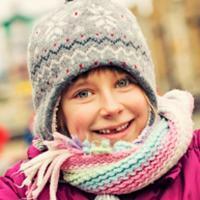 We also encourage parents to make sure that their children are dressed appropriately. 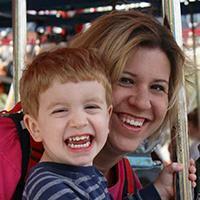 Crestwood nurse Eva Gallina will be featured in national Parents as Teachers curriculum that will be release in 2015. 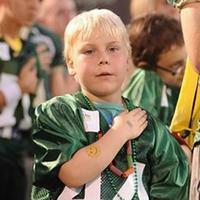 Read this story, and more, in this week’s edition of Lindbergh Accomplishments. 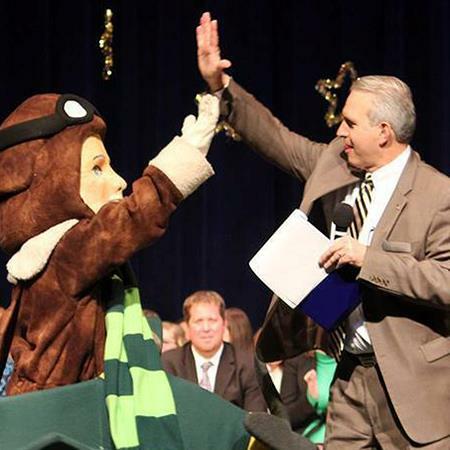 The Lindbergh Leader Award is the district’s highest honor, recognizing excellence in the areas of leadership and service to Lindbergh Schools and the Lindbergh community. Cooking doesn’t always mean preparing something to eat. 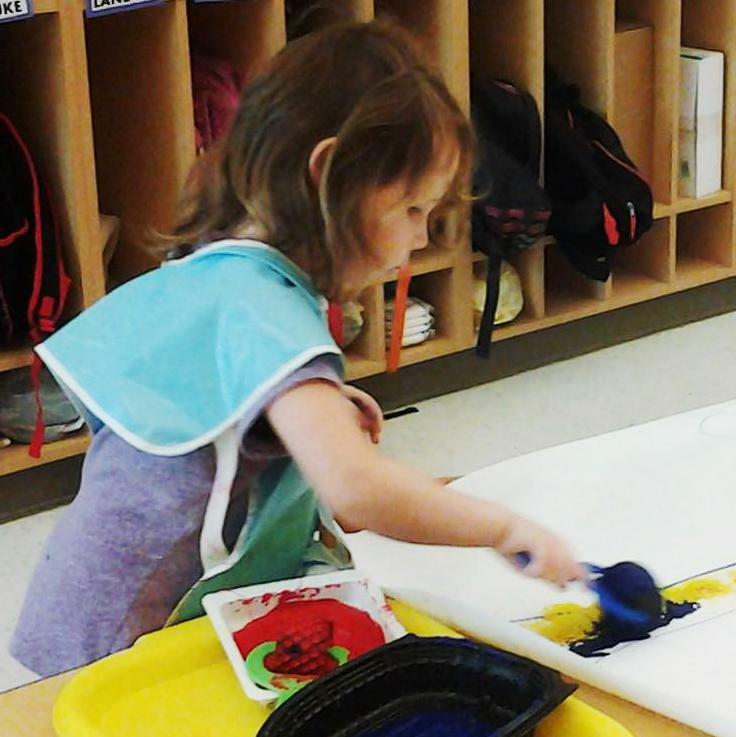 Lindbergh Early Childhood Education students in the Dragonfly Room used a recent work time to make cinnamon-scented play dough. Lindbergh students use interactive technology every day to connect with a new generation of learning opportunities. 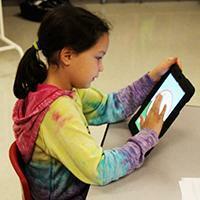 For many students, this already means bringing their own devices to school. 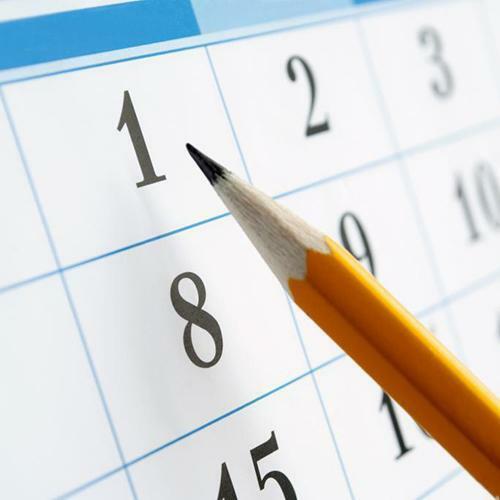 The Lindbergh Schools Board of Education recently voted to approve the 2015-16 academic calendar. 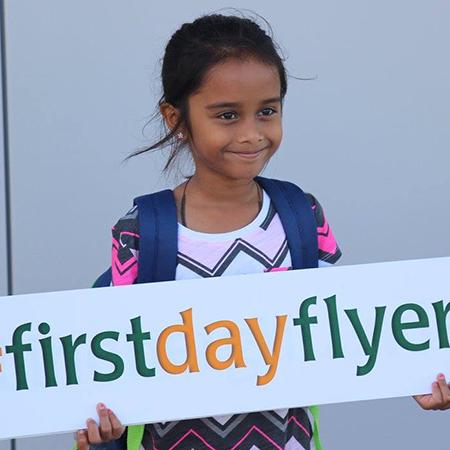 The first day of the 2015-16 school year is Thursday, Aug. 20, 2015. 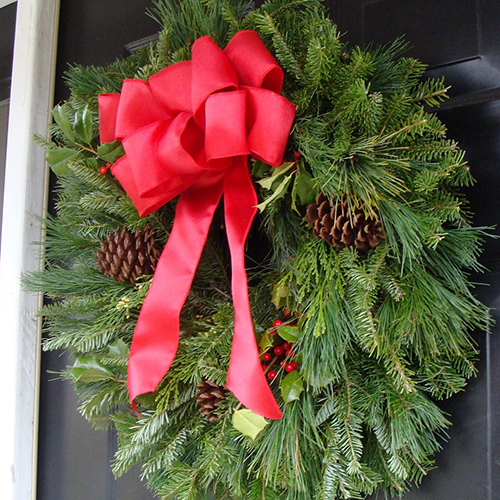 The decorating prowess of five creative South County homeowners will be on display during the LHS Parent Group's 39th annual Holiday House Tour & Boutique, which will take place on Sunday, Dec. 7. 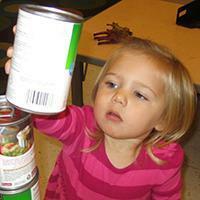 Students at Lindbergh Early Childhood Education learned counting, sorting and building during the school’s annual canned food drive to benefit the Carondelet Community Betterment Foundation. 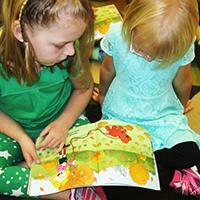 Every student, teacher and staff member at Lindbergh Early Childhood Education took a few minutes Tuesday to enjoy the story of “Bunny Cakes” as part of Jumpstart’s annual national literacy campaign. 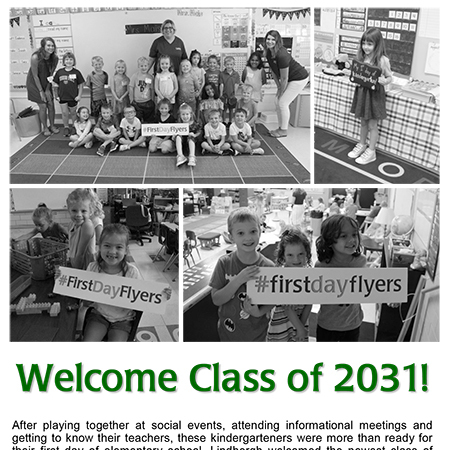 The fall 2014 edition of the Lindbergh Link newsletter hits mailboxes this week. Inside it, you’ll find more information on Lindbergh’s latest National Blue Ribbon Schools, as well as a Prop G update. 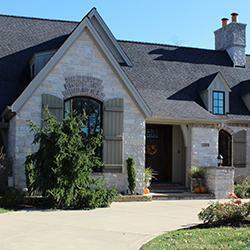 The Lindbergh High School Parent Group is seeking crafters/vendors to sell their wares at its 39th annual Holiday House Tour and Boutique. 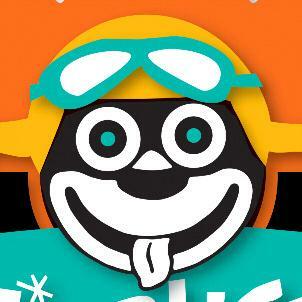 This year the event will take place on Sunday, Dec. 7. As aggressive enrollment increases continue to put a strain on Lindbergh Schools, the district’s Board of Education voted Tuesday to build a new early childhood education building at Truman Middle School. 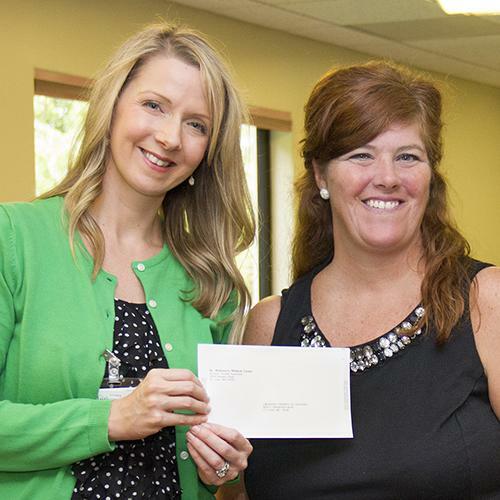 Parents as Teachers received a $3,000 grant, while Teresa Darr earned an Excellence in Education Award. 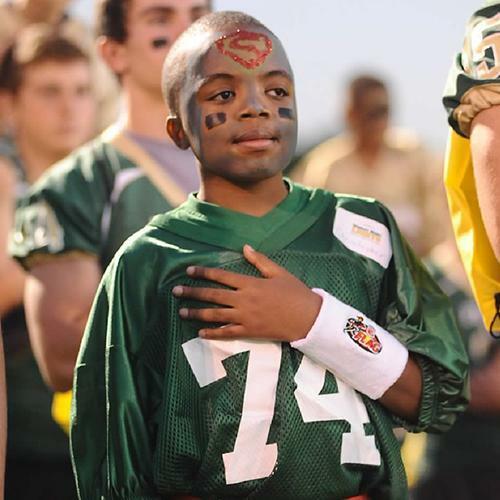 Read these stories, and more, in this week’s edition of Lindbergh Accomplishments. Help Us Raise $6,000 in One Day! 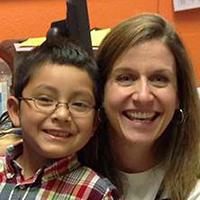 The Lindbergh Schools Foundation will host its annual iDrive fundraiser Saturday, Sept. 27. Simply stop by the LHS auditorium between 9 a.m.-4p.m. 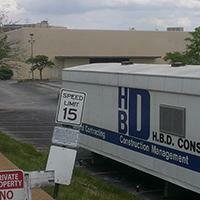 to take a five-minute test drive around the campus. Lindbergh Early Childhood Education teachers kicked off the year with activities designed to help the district’s youngest students feel more comfortable in their new learning environments. 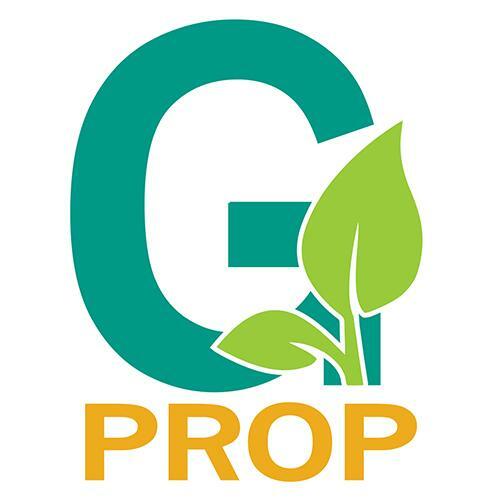 The Lindbergh Schools Board of Education voted 7-0 Tuesday, Sept. 9 to authorize the sale of $34,035,000 in general obligation bonds for Prop G improvements. 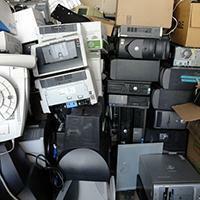 The competitive sale included 10 bidders in all. The Lindbergh Schools mobile app is now available for download! This FREE app provides instant access to calendar events, news headlines and other essential information from the convenience of a mobile device. The Lindbergh Schools Foundation fall mini-auction opens Monday, Sept. 15 at 8 a.m., and closes Tuesday, Sept. 16 at 8 p.m. All proceeds benefit Lindbergh Schools Foundation teacher grants and scholarships. Lindbergh Schools is honored to provide high-quality education for all students, and the support we receive from our community is unparalleled. 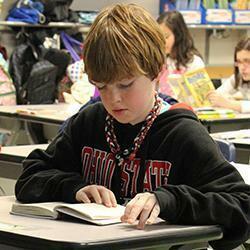 Lindbergh Schools continues to lead the state in academic achievement, ranking No. 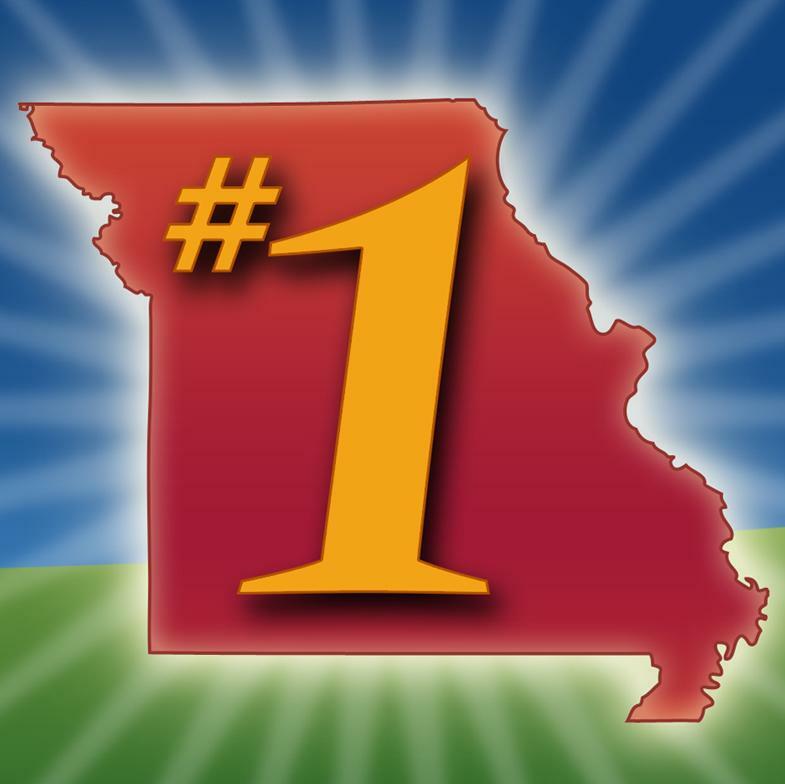 1 in Missouri for the fifth consecutive year. 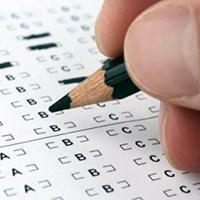 The ranking is based on combined math and English Language Arts proficiency. 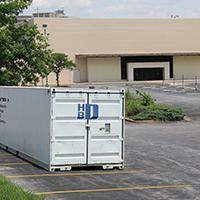 The St. Louis Post-Dispatch reported today that Lindbergh Schools has the No. 1 academic achievement in the region, based on the percentage of students who scored proficient or advanced on MAP tests. 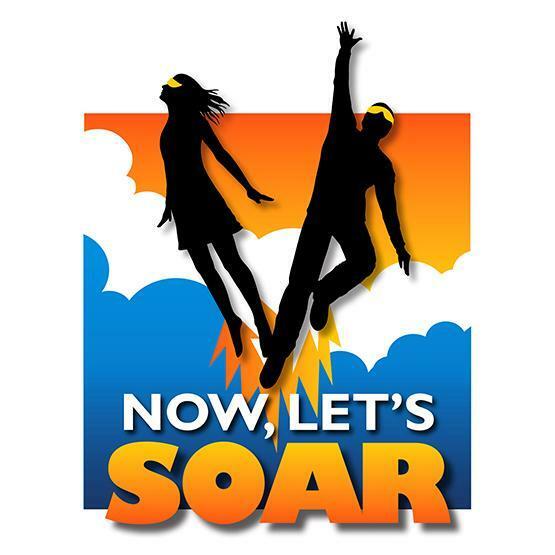 Lindbergh Schools recently won the bronze award in Missouri’s School Breakfast Challenge, a program designed to increase daily breakfast participation in school districts across the state. 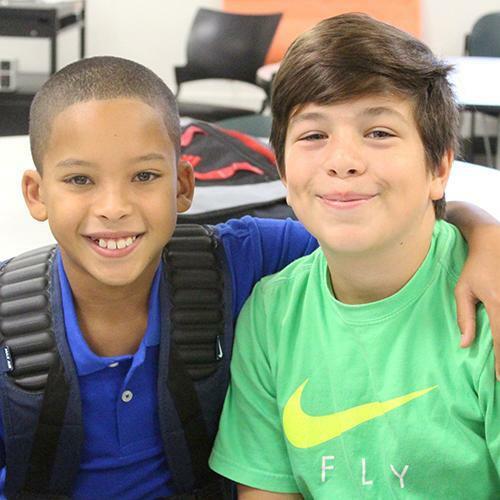 Lindbergh students returned to school on Aug. 14 to begin another exciting year of learning. 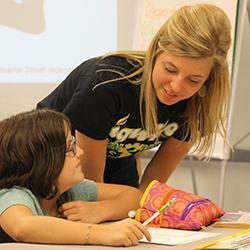 Lindbergh Schools teachers and staff are busy at work, preparing for a successful start to the 2014-15 school year. 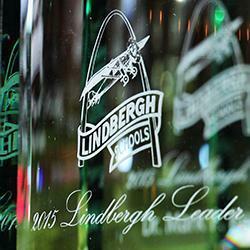 The 2014-15 Lindbergh Schools Parent Information Packet will be email to all district families this week.